Bought some great books at a great deal...to bad the app crashes when I try and read them. 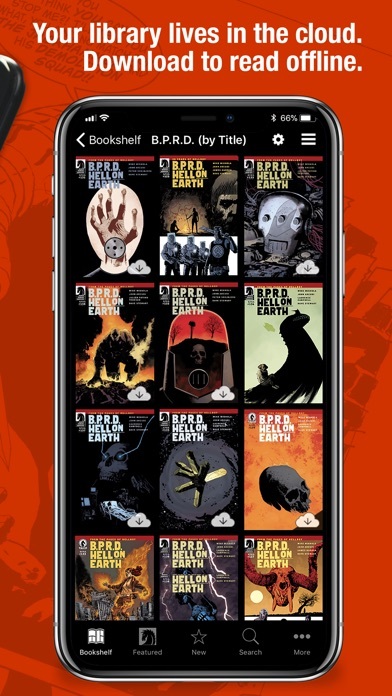 I love Dark Horse Comics, but this app lags, crashes and more often than not doesn’t correctly update weekly new releases. It needs some serious fumigation to get rid of all its bugs. I’ve purchased lots of comics in the past but the app no longer works. Issues I’ve purchased don’t show in the app, the wrong books show on the bookshelf, books won’t load. Lost lots of $$ and feel ripped off by Dark Horse. The app is terrible. Freezes and crashes constantly. Works long enough to make a purchase and that’s about it. 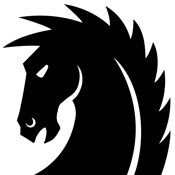 Looking forward to the day Dark Horse is gobbled up by that web site named after a river. Two stars, because on the rare occasion that it works, it does the job. The app works very well. It’s exactly what I would expect from a literature app. Dark Horse Comics does great work. I did have an issue where a purchase didn’t appear on my “bookshelf” but I reached out to their customer service and they resolved the issue quickly and efficiently. I would definitely recommend them to a friend! Let’s get it together boys!!!!!!!! I’m a huge fan of DH comics. I invested money on comic and anime novels on this app and I’m unable to read them due to your mishaps. PLEASE FIX the bugs....so be it. I haven’t had any problems with the purchasing side of the app. It’s the reading part that doesn’t work well. Pinch and zoom, and panning across the pages, often doesn’t work. By doesn’t work, I mean that pages become frozen and don’t respond to any touch of the screen. A little furious tapping fixes it, but the problem will likely crop up again within seconds. That’s the most basic iOS functionality, and it doesn’t work reliably in this app. This app does not even launch anymore, and its a shame. I have spent tons on comics through this app and now it won’t even open. Please fix this app! First I want to say that a big fan of many Dark Horse titles and a love the idea of owning digital copies of the comics I love. But this app is embarrassing. It doesn’t even launch for me anymore. I’ve reinstalled it on more than one occasion and I’m sick of this. It doesn’t work. Fix it. Whoever you outsourced this to, whomever you have developing this in house, pay attention to the reviews here. They don’t lie. This is indicative of your customer’s experience and it’s not good. I can’t do anything on this app. I have bought stuff, they don’t show up. I have signed in, can’t sign in anymore. I try to download new releases, it says Retry. I am so frustrated with this app. 12/21/17 STILL no bookmarking? COME ON, DH. How is this not the first feature of any e-reading app? Esp one where your library can get substantial, quickly?! The lack of organization is seriously frustrating. 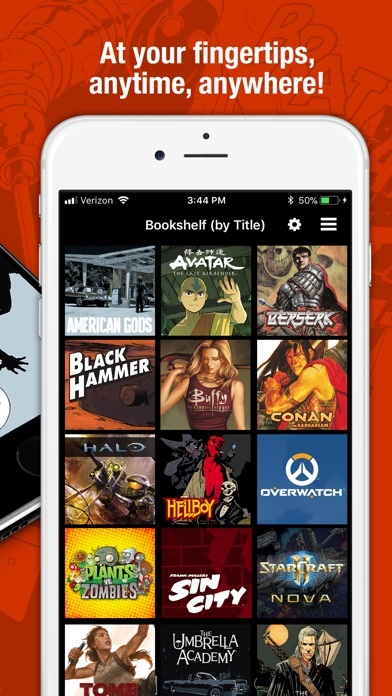 Another thing that is a huge problem: the app doesn't let you know if you're about to buy an issue that you have already purchased - for instance in a bundle or library edition. 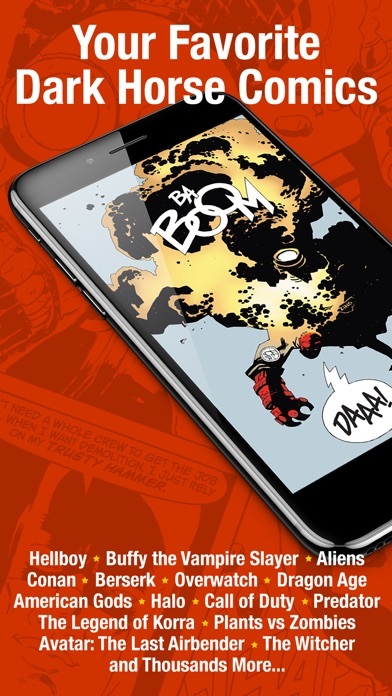 Original review: App has been stable (for me) and the selection is good, the comics look great...but there's a lot of functionality missing, and some of it is pretty basic stuff. For instance, it doesn't keep track of your place, so if you leave the app and come back, you have to go to your bookshelf, find the comic you were reading, select it again, etc. That's just weak. There's no bookmark feature, which is badly needed. Some ability to organize your bookshelf would also be nice. Also there's no organization to the index of series, which makes browsing for new finds difficult. You either have to know what you're looking for and search for it, or scroll through a kabillion titles in alphabetical order only, even within a genre search. A "more like this" feature would be nice. Please update, already! The updates completely destroy your ability to sort by title. The wrong series appears in the wrong category header. I can download books for free, and a different book arrives on my shelf. Why have I ever spend money on this. App asks for my Apple ID even though I bought in Dark Horse online store. So there are man purchases I cannot access. 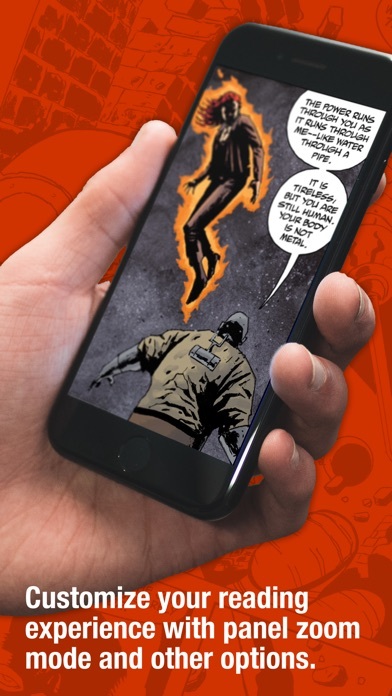 Other comic Apps are better. Dark Horse has not been helpful. 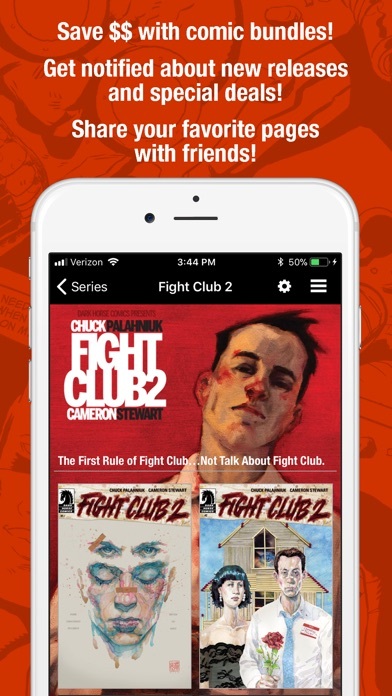 If you've used Comixology, you will be disappointed in this app. Huge issues with downloading new comics and organization stinks. unfortunately, readers are forced to use this. Boo. I paid for a comic through this app takes my money then I keep getting an error message saying it can’t communicate with server so now I’m out money and the app refuses to download my comic. Fix this!!! !